NOVEMBER 1991 and the world mourned the loss of the Great Pretender, Farrokh Bulsara, better known as the iconic rocker. Freddie Mercury, lead vocalist of Queen. Freddie, along with Roger Taylor and Brian May co-founded Queen in the late sixties, John Deacon joining in March ’71 and within two years the band’s debut, simply ‘Queen’ was instantly heralded as being the most exciting development in rock history. For the next twenty years they were the greatest rock band alive, then they lost their inspiration, their leader, Freddie. In late 2010, around what would have been Freddie’s 64th birthday, a poll named the icon as the ‘Greatest Rock Legend of All Time’ ahead of the likes of Bowie, Hendrix, Osbourne. 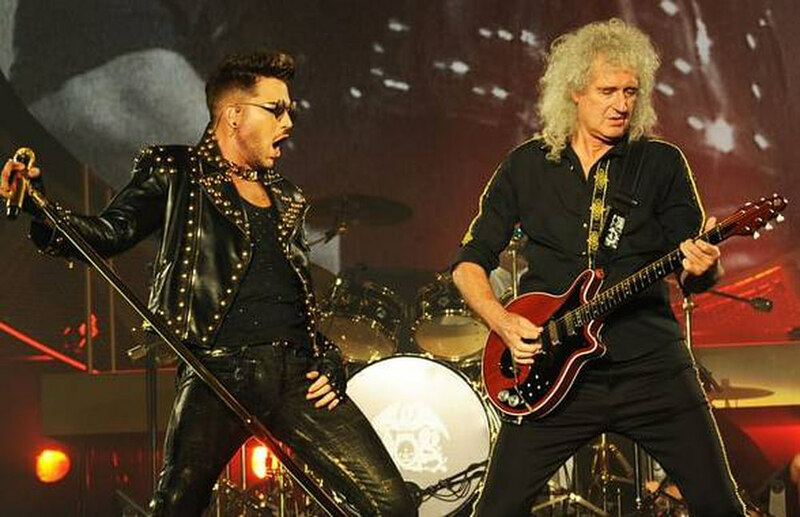 The year before Adam Lambert performed on stage with Queen in the American Idol final, beginning what would become a highly successful partnership which has seen them perform in every corner of the globe. The full set of QUEEN + Adam Lambert LIVE at the Arena Birmingham 30.11.17. Unbelievable what Adam does with the microphone stand at Stone Cold Crazy - Arena Birmingham Can someone find a closer shot at this moment. Whoa, Mirela, I checked it out in your link above....that was SOME "Stone Cold CRAZY" action from Adam....really INTO the part! Haha, he sure can keep people's ears "pricked up" with his innovations. Gotta love him....he's COMPLETELY Adam...and COMPLETELY Queen! Oh my! Wonderful! There will NEVER be another pairing as unique and perfect as Queen and Adam Lambert! I hope there will be other better shots at this moment when Adam turns the microphone under his feet. Mireia, have a look https://youtu.be/mNjtlVg937Y it's very good!! Wish you the best ringtone for your mobile phone. Free ringtones for people around the world. Leave a comment for my collection. Thank you!